This year has seen a dream come true for Anja and Ralf – with the celebration of their romantic civil wedding, shared with their loved ones, in the Piedmont region. 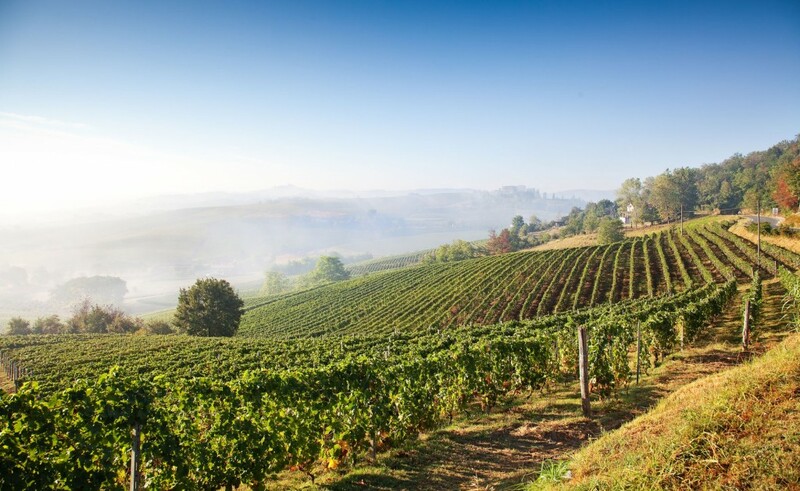 The Northern Italian area of Piedmont is considered to be the second largest region in Italy and has a charmingly varied landscape. The Piedmont’s Alpine region, along its Southern, Western and Northern borders, along with the Po Valley and the hills of the South-East, are ideal locations for rustic Italian weddings. Tourism is not as widespread in the Piedmont yet, as in other regions of Italy and is mainly focused around Lake Maggiore and in the Langhe’s characteristic landscape of rolling hills. 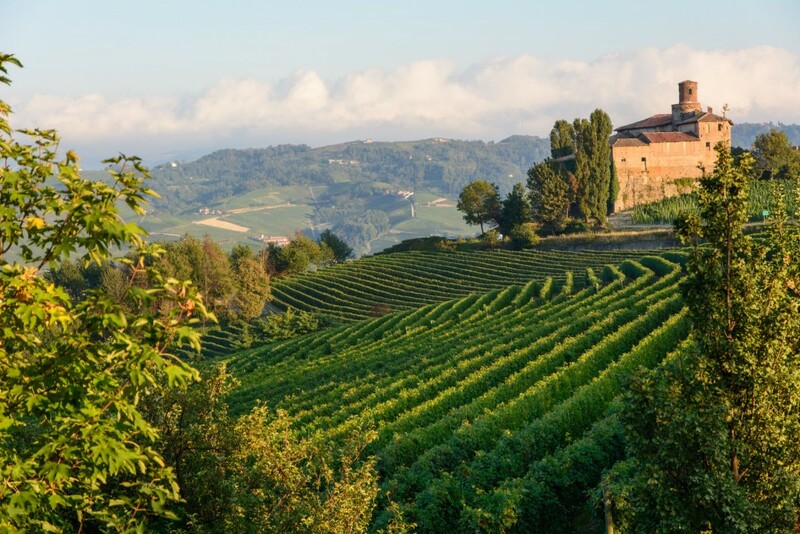 The charming capital town of the Langhe is Alba, located in the production area of Italy’s most famous red wine, Barolo. Barolo is a garnet-coloured red with an intense aroma and a dry, harmonious flavour, and is considered by everybody, including wine connisseurs, to be one of Italy’s most noble wines. Barolo, of course, along with other Italian specialities, was served at Anja and Ralf’s wedding reception held in a rustic restaurant setting. Their chosen wedding reception location was near the town of Alba in the famous Barolo wine district, but before that they tied the knot at a civil ceremony in an antique town hall in the small town of Alba – watched by their closest family and friends. 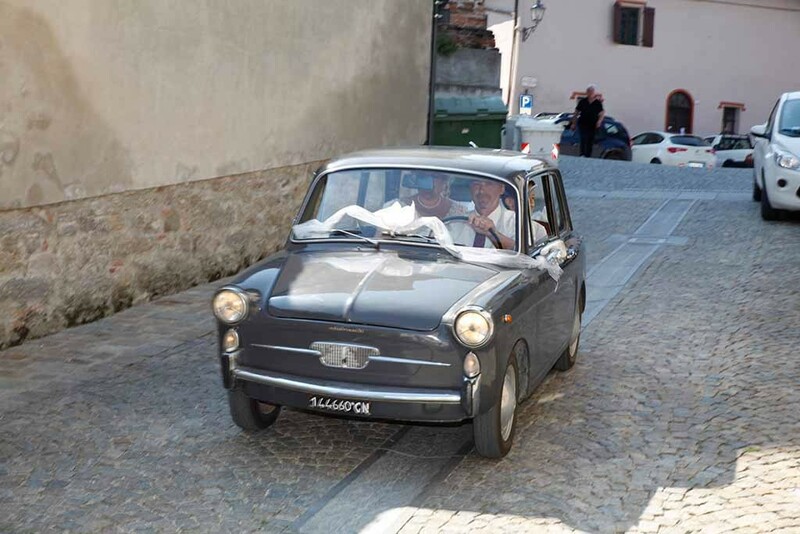 At their unforgettable wedding feast in a famous Italian trattoria delicious food was combined with a cosy, rustic ambience and lots of good fun, with highlights of classic wedding cars, romantic Italian music and photographs posed before magnificent scenery. 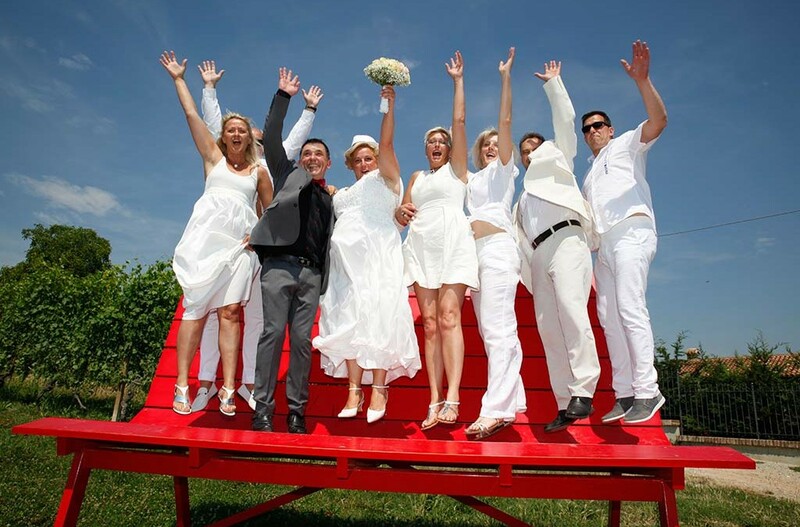 Rustic weddings, with an authentic Italian atmosphere and lashings of romance, held in the beautiful landscape of Barolo, Italy’s most famous wine region, make getting married in the Piedmont a totally unique experience. For Anja and Ralf, their wedding celebrated in and around Alba and Barolo is sure to remain an unforgettable Piedmont memory.